In today's edition of our 2011 Warm Weather Motorcycle Gear Guides, we're focusing on the sport segment of riders. We're breaking down what we see as the best of what's available for summer sport riding. All of the gear featured in our Warm Weather Sport Textile Gear Guide will flow a ton of air, be protective, but ultimately the most important factor in these selections is the aggressive style that will match up well with your bike and riding style. We've got a couple picks for the street and stunt rider, some Euro selections for the Ducati and Speed Triple, and one combo that is universally-styled to go with any sport or naked bike. This is the best of what we see for 2011 summer sport riding. Our first pick in sport textiles is the brand new 2011 REV'IT! Tarmac Air Jacket paired up with the mainstay REV'IT! Rotor Pants. 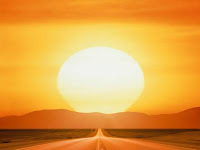 REV'IT! essentially took their extremely popular REV'IT! Air Jacket, utilized the style of the brand new Tarmac Leather Jacket, and made a wicked hot weather sport riding jacket. Extremely ergonomic in its cut, with CE rated armor in the shoulders and elbows and 600D fabric in impact areas, the Tarmac Air has huge PWRShell mesh panels that are abrasion-resistant and will flow a ton of air. The pants feature the same mesh construction with 500D & 1200D PWRShell textile to protect from abrasion. This combo will work great on a naked bike, a sportbike or even for an aggressive sport touring rider. 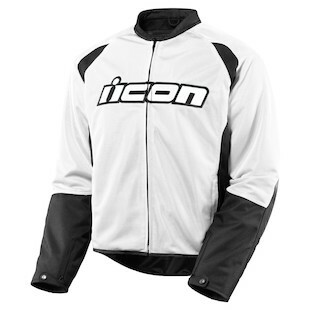 Next up in our sport textile picks is the Icon Hooligan 2 Mesh Jacket. Released in Fall 2010, the Hooligan 2 is now available in new graphics and a brand new Icon Hooligan 2 Mil-Spec Mesh Jacket. Absolutely inspired by the aggressive street and stunt riding crowd, the Hooligan 2 is a durable fighter mesh chassis for abrasion resistance and airflow and hot weather performance, but also features a removable full-sleeved quilted thermal liner for the cooler months. With CE rated armor in the shoulders and elbows and an upgradeable dual density back pad in addition to ballistic nylon in abrasion areas, you'll be protected and comfortable. Pair this up with the Icon Hooligan 2 Mesh Overpants for a full summer sport outfit. The Alpinestars T-Stunt Air Flo Jacket and Alpinestars AST-1 Pants feature a universal style, that will match up well with anything from a Gixxer to a Monster to a VFR and perform extremely well in the hot weather. A 600D polyester construction with abrasion resistant mesh panels throughout, both jacket and pants will keep you cool in the hottest of hot weather. There are compartments in the chest and back for upgraded CE rated protection. One thing to note, though, is that the pants only come stock with foam padding on the knees. We recommend an upgrade to CE rated knee protection. The jacket's seasonality can also be extended thanks to the removable waterproof breathable liner. Next up is the truly Euro-styled Dainese Shotgun Jacket and Dainese Drake Air Pants, both of which have been standouts in the RevZilla lineup for quite some time now. Available in a multitude of colors, there is a style of Shotgun to match just about any bike. Beyond the protective and airflow elements via 3D mesh, boomerang mesh, Mugello fabric and CE rated armor, what stands out in the Shotgun is the extreme attention paid to ergonomics and comfort. The Drake Airs are some of the bestselling textile pants we've ever carried and will continue to be thanks to their comfort, airflow, protection, and of course, that great Italian style. Last up in our mix for 2011 sport textile summer gear is the Icon Overlord Textile Jacket and Icon Overlord Textile Overpants. Loose fitting, comfortable, and designed exclusively for the aggressive street and stunt rider, the Overlord combo puts a big emphasis on that classic Icon style. Available in multiple colors, both jacket and pants are designed with the Icon attack fit for the most aggressive riding scenarios. CE rated armor is found in the shoulders, elbows, and knees and the backpad can be upgraded to the Stryker CE back protector. Extend the seasonality of this jacket thanks to the removable thermal vest liner. That does it for our best of Sport Textile for Summer 2011. 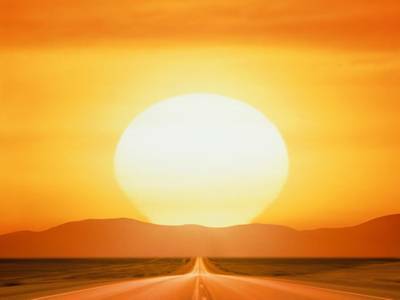 Don't miss all of our Summer Gear Guides as they are released! 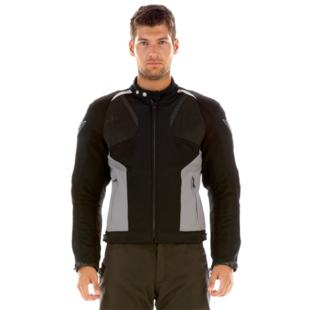 Also, you can browse our full selection of Summer Motorcycle Gear at RevZilla.com.